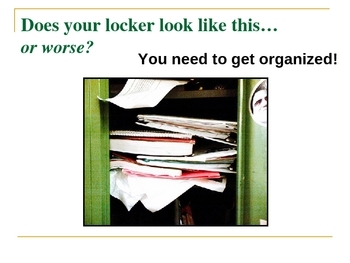 This brief and simple presentation helps middle schoolers learn how to organize their lockers and their life! Filled with practical suggestions, this one is not just a "fluffy" PowerPoint. Makes a great lesson for a Study Skills class or for the first few days of school.